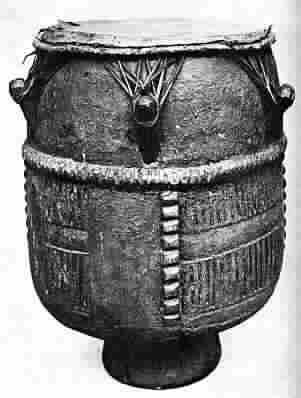 African Drum. Virginia, ca. 18th century (prior to 1753). Sir Hans Sloan Collection, England. 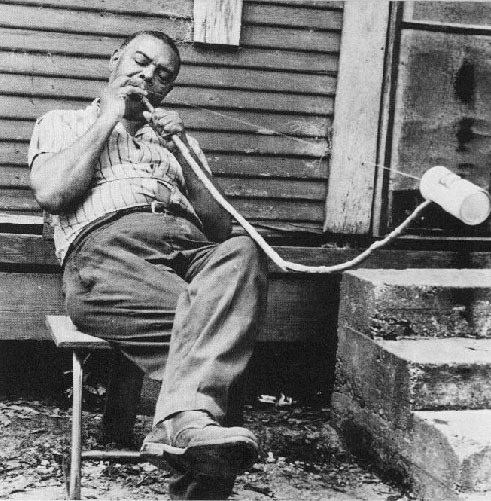 Eli Owens, Bogalusa, La. ca. 1973. Mouth Bow (beer can substituted for gourd). Source: John Michael Vlach, The Afro-American Tradition in Decorative Arts. 1978. 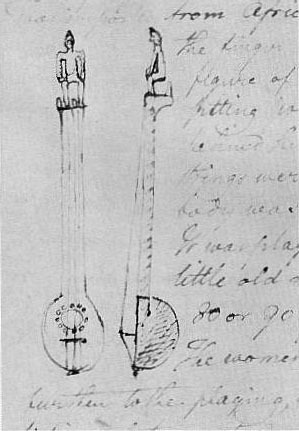 Gourd Bodied Fiddle. Virginia, n.d.
"The Old Plantation." 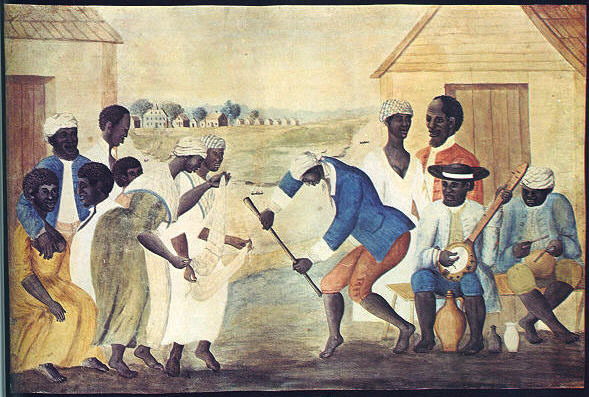 Painting, late 18th century.